Sustainability Drinks - How can we make sustainable fashion accessible? 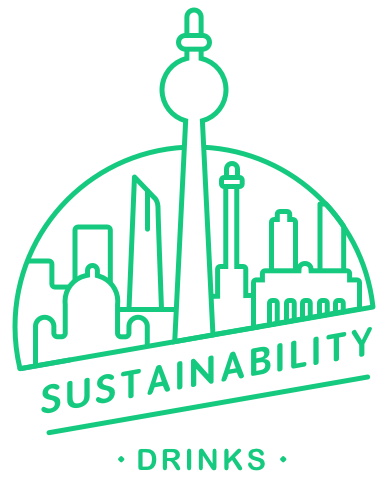 - GreenBuzz Berlin e.V. How can we make sustainable fashion accessible? It is increasingly common knowledge that the fashion industry has severe environmental and social impacts. Just as fashion can be an expression of art or of the person wearing it, it can also tell a story about these issues. What you purchase and wear expresses your support for one side or the other of this story. Where do you stand?? At our first event of the year, Vino Kilo will be hosting us, as we discuss ways to make Sustainable Fashion accessible. Join us on on the 19th of January at Spreewerkstätten to learn, shop, network and be inspired. Before the Speakers go on you all visitors are invited to the Vintage Kilo Sale (VinoKilo) – Berlin, to shop vintage pieces per kilo price. Doyel, a Parsons The New School of Design alumni, graduated from the esteemed BFA Fashion Design Program. Based in New York City Doyel is acclaimed for her artistry, visual storytelling and a multi disciplinary approach towards fashion. Her work has been showcased at Musee des arts decoratif- Palais du Louvre, Paris, New York Fashion Week amongst many others. Doyel’s own enterprise PLAGUEspace a design-process based concept gallery in NYC has opened up a conversation about the marriage of art, design, fashion and ethics. Doyel’s background in design, performance art and psychology makes her an impeccable ambassador for Vinokiloxberlinfashionweek! Helen Gimber is a Brit who has called Berlin home since 2010. She studied Fashion Print and Surface Pattern Design at Central Saint Martins & London College of Communication. Since graduating in 2008 she has gained experience in and around the sustainable fashion industry and specialised in the design and production of textiles, communication and art direction. Helen works at the NGO INKOTA-netzwerk for the Clean Clothes Campaign Germany (Kampagne für Saubere Kleidung), giving workshops on workers rights in the global supply chain and campaigning to change the way the fashion industry does business. 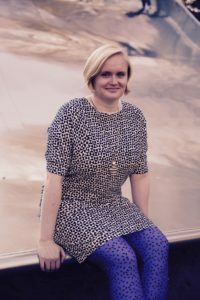 Helen also teaches Textile Theory at ESMOD BERLIN International University of Art for Fashion, works at the open innovation platform jovoto and is part of the team behind Fashion Africa Now – a platform for Contemporary Creative Africa, and she does a few pattern design jobs here and there! The Berlin Herb Studio fosters a creative herbcraft community by maintaining certified production workspaces and providing education and materials. HEMPMADE BERLIN is an impact focussed fashion label. We do accessoires out of hemp. Working with sustainable, wild growing plants, woman collaboratives in the Himalayan Mountains and agricultural activists, who aim to crate possibilities for remote areas to use those their local fibers in order to empower themselves and generate own income. I am currently doing a project where I wear the same dress for a year. I would love to talk to people about how to promote slow fashion and the possible business opportunities this might bring.